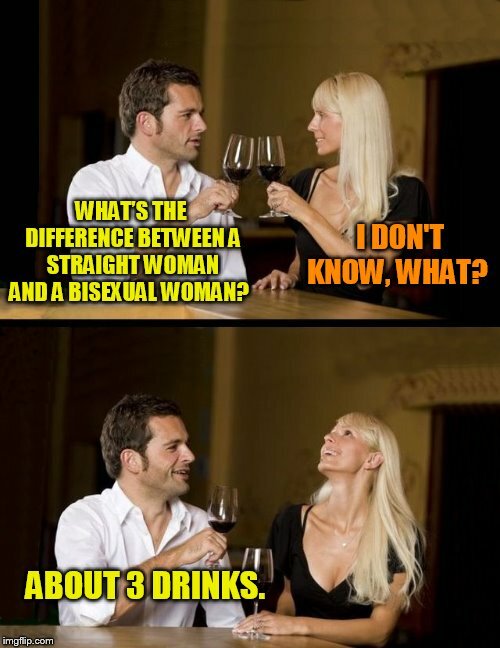 WHAT’S THE DIFFERENCE BETWEEN A STRAIGHT WOMAN AND A BISEXUAL WOMAN? I DON'T KNOW, WHAT? ABOUT 3 DRINKS.